When you can’t find the right words, celebrate the life of a loved one with a thoughtful and nourishing gift. 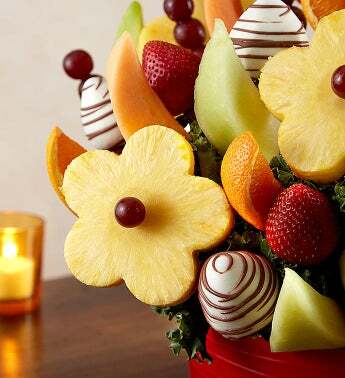 Our abundant fruit arrangement is filled with a selection of daisy-shaped pineapples, dipped strawberries, melon and more. 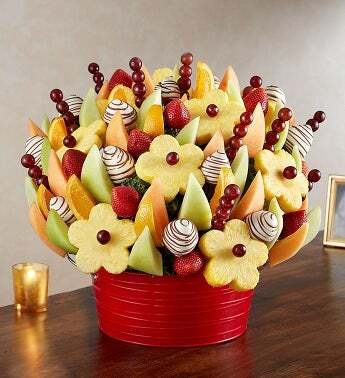 Available in three sizes, this kind gesture of sympathy is one family & friends can share together, along with treasured memories of someone very special.